Enjoy the best inspirational, motivational, positive, funny and famous quotes by Anne Monroe. Use words and picture quotations to push forward and inspire you keep going in life! 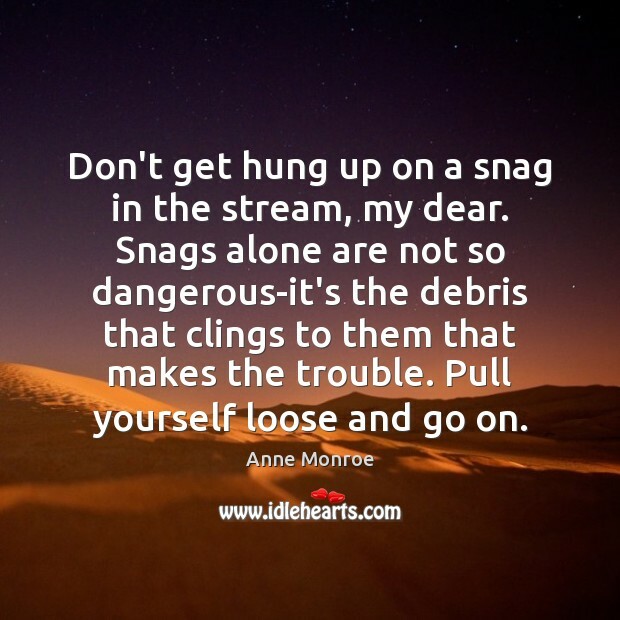 Don't get hung up on a snag in the stream, my dear. Snags alone are not so dangerous-it's the debris that clings to them that makes the trouble. Pull yourself loose and go on.